Gelty: Stay warm, be stylish, leave your puffy vest at home. Stay warm, be stylish, leave your puffy vest at home. I say this of course, after three absolutely beautiful days in Denver, with 70 degree temps and not a fleck of snow in sight. So I was hard pressed today when walking into Ralph Lauren's 75% off sale to even dream of looking at coats, until I found this. 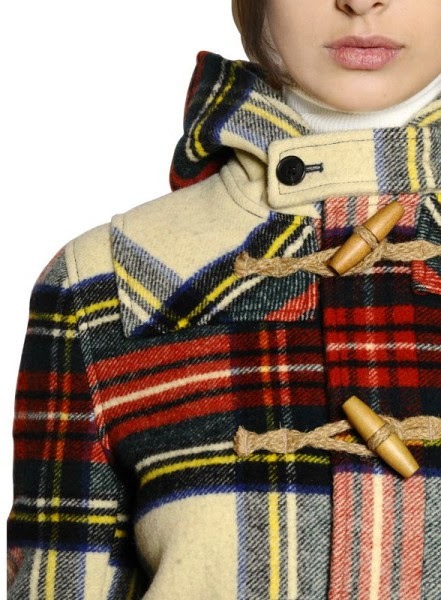 Ralph Lauren is not usually my speed, probably because it reminds me of my mom, but this coat is fantastic! It is a super heavy weight wool with adorable closures and a hood. Originally $600, you can get it today for $150. I looked online, but it is not available, so you'll have to walk into the store if you want one. If you love me enough you can buy me one for Valentine's Day.